More than 70 percent of Hispanics in America favor President Barack Obama’s decision to reestablish diplomatic relations with Cuba, but less than half want the 43-year-old embargo lifted, according to a Florida Atlantic University poll. The survey was conducted in January and is scheduled to be released on Tuesday, but the Sun Sentinel, a South Florida newspaper, reported some of its results on Monday. The disparity in the percentages of those in favor of re-establishing ties and those against the embargo shows that Hispanics are taking a cautious view of how the United States should open up to Cuba, FAU political scientist Kevin Wagner told the Sun Sentinel. "I think what that illustrates is that there's a large portion of the Hispanic community that's open to starting to fix the relations. Diplomatic relations is sort of a first step," he said. “I think they just want to take it one step at a time." Hispanic Americans also aren't as enthusiastic about lifting the embargo as Americans as a whole. Sixty percent of Americans polled by the Associated Press said they favored doing away with the embargo in a survey released earlier his month, while the new poll found only 43 percent of Hispanics want it lifted. 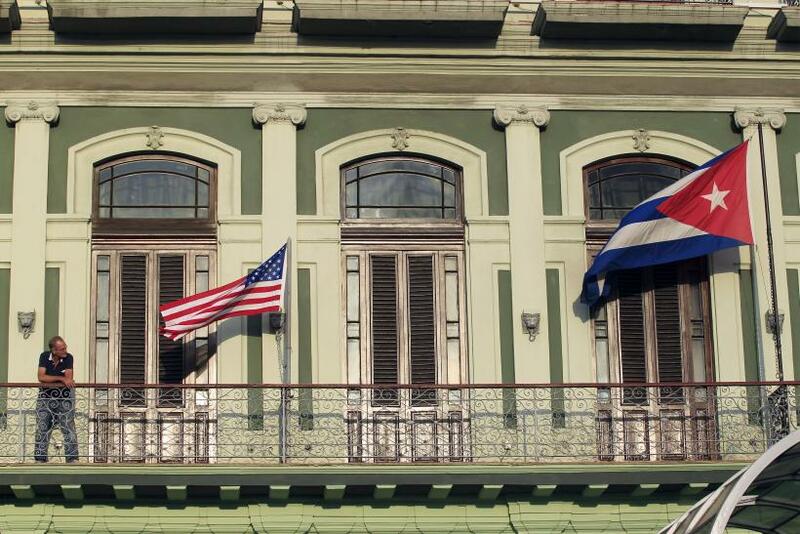 The FAU poll found 73 percent of Hispanic Americans want diplomatic relations with Cuba, and 68 percent want to expand trade with America’s southern neighbor. Hispanics in the South were slightly more doubtful of the benefits of lifting the embargo than their counterparts in other areas of the country, the poll found. Only 32 percent said lifting the embargo would lead to regime change in Cuba, while 22 percent said it wouldn’t, and 46 percent said it might. Conversely, 37 percent of Hispanics overall said lifting the embargo would lead to regime change, while 18 percent said it wouldn’t, and 45 percent said it might. More Hispanics nationwide -- 68 percent – said they favored expanding trade with Cuba compared with 60 percent of Southern Hispanics, the poll found. There was also a disparity along political lines as far as who said they would be more likely to visit Cuba if travel to the island nation was unrestricted. Nearly 60 percent of Republican Hispanics said they would go to Cuba if that were the case while 39 percent of Democrats said they would visit Cuba. The poll surveyed 500 Hispanic Americans in English and Spanish, according to the Sun Sentinel. It has a margin of error of 4 percentage points.